Since the dawn of the time, powerful coalitions have controlled the realm, but now the times are changing and new faces are rising to the challenge while old stars are falling. Will the realm ever return to peace? Over the past few months we have seen some of the most powerful coalitions topple, and others of less renown rise up through the ranks and make names for themselves. The map has been reshaped by the wars that led to these events and the realm will never be the same. Death Inc and the Terminators are two such coalitions that have been highlighted time and time again in recent editions of the Chronicles. They have been the subject of many attacks on many fronts and have proven the point that great responsibility and risk comes with being a top ranked coalition in this dangerous land. Looking at the ranks, many would be confused as they remained stationary for so long that the banners of certain coalitions were thought to of grown roots. Yet, if you thought that all would remain the same and nothing would ever change, then boy were you wrong. Now, things are very different: wars have erupted all across the land, peace is no more and turmoil is part of our everyday life. Some more cynical people are delighted by this news and state that "it is about time" that things changed. Indeed they have. 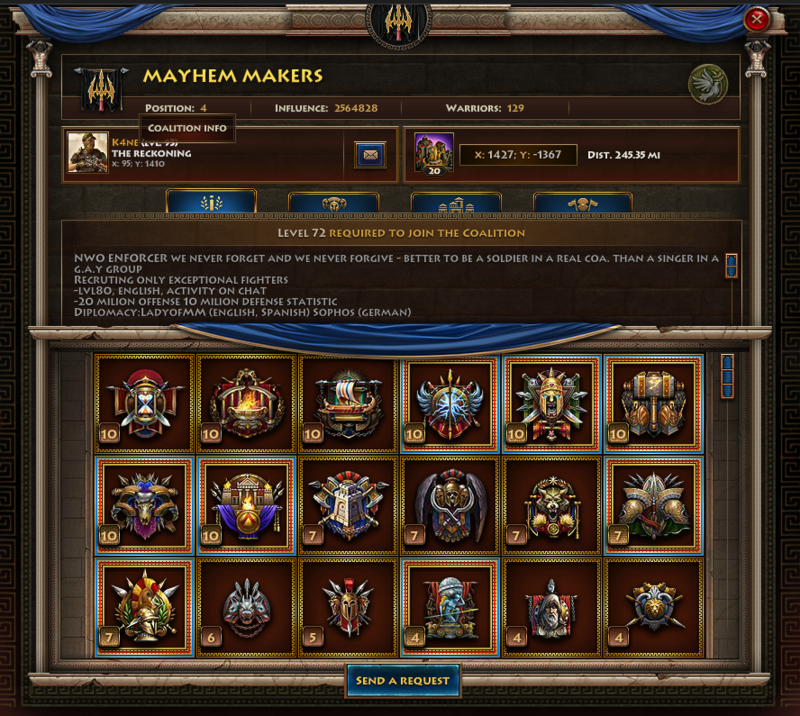 Taking a look at the ranks above, you will still see some familiar faces, but many more that are unknown to veterans of the realm. 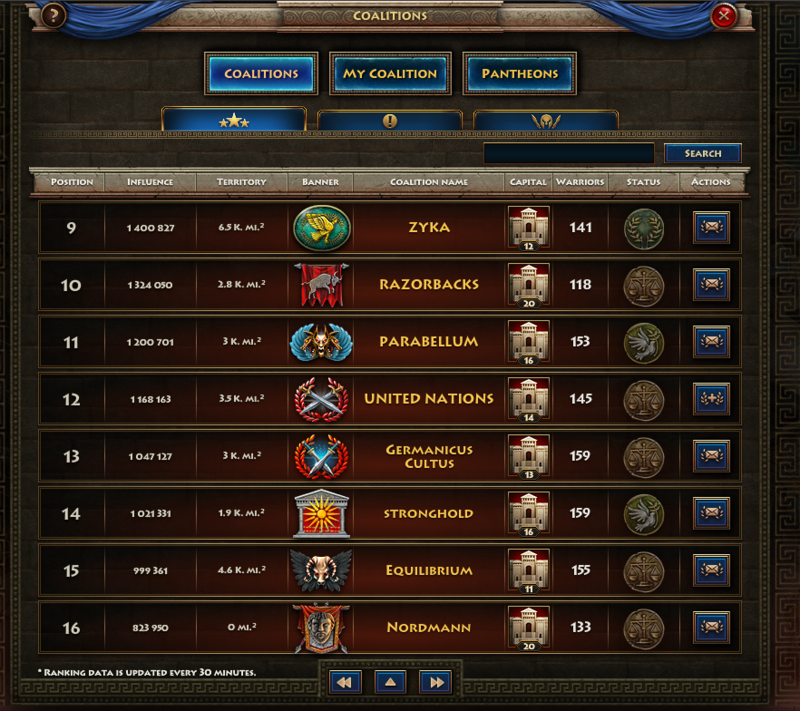 The Lost Souls are now the top ranking coalition in the realm, while the Terminators and HoB are trailing behind them. All of these coalitions are familiar, even if their positioning is not. 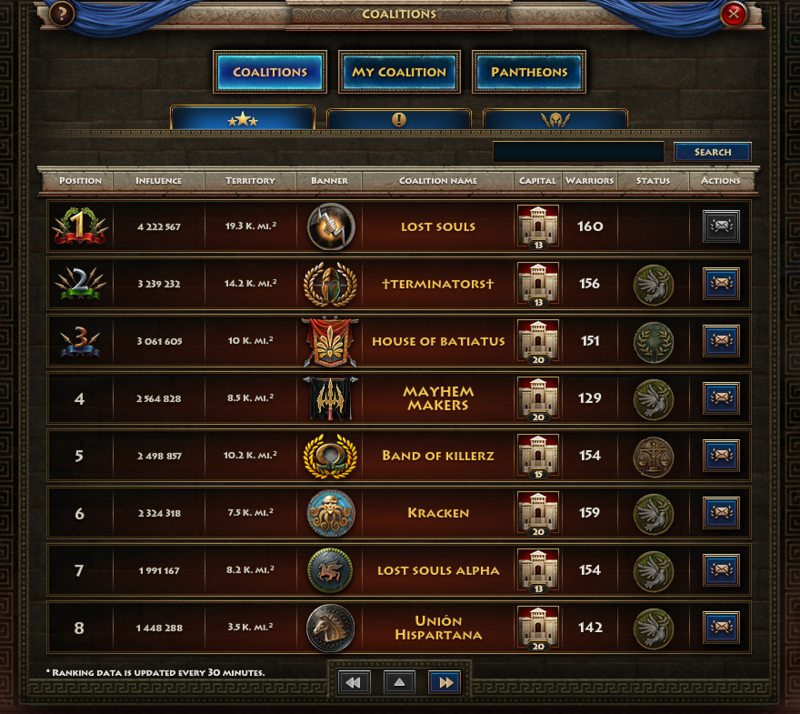 Meanwhile, coalitions such as the Mayhem Makers and Union Hispartana have moved themselves onto the front page ranking, becoming some of the top powers to grace this realm. 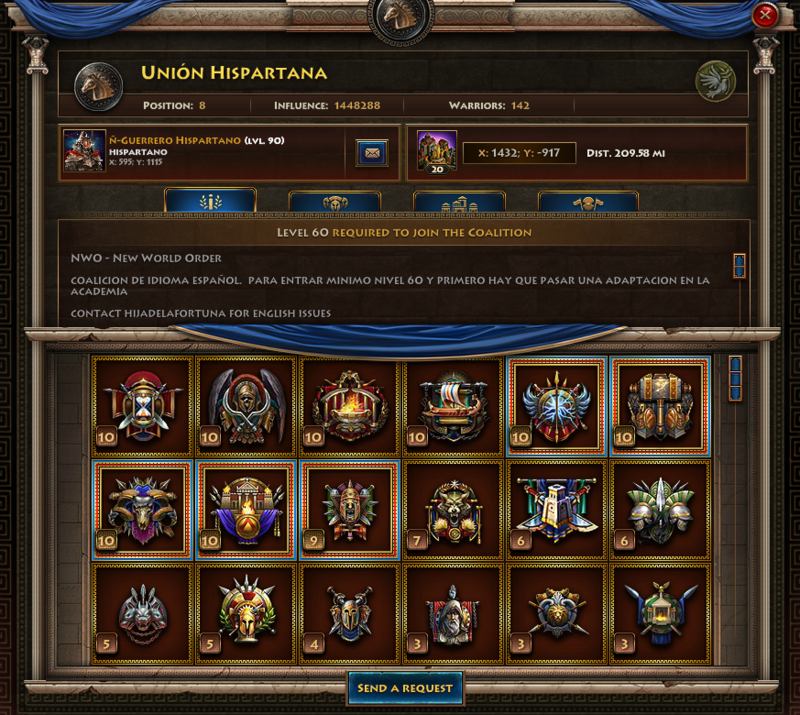 The second page of ranking shows a radical change of positions, with coalitions such as the Zyka, Razorbacks and others moving into coveted positions. Now the question that many have on their minds is, how long will these charts look as such? How long will the Lost Souls be able to hold onto the title of the top ranking coalition before they too become the target of a scornful rising power? The map truly has been shaken up and you can rest assured that the trend of increased hostilities is going to continue in the near term. Prepare yourself for the carnage, prepare yourself for the bloodshed, turbulent times lay ahead.